Benjamin Segun aka HizzyBen throups out this recent song of his Japa (Freestyle)of the latest slang moving across all social media and mouth of millions of Nigerians... Japa literally mean "Run Away". HizzyBenvibes out of these hot loved vibes song which i know you will like download. Japais officially Prod. 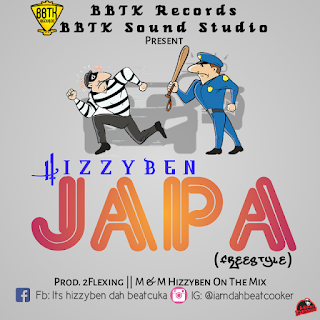 2Flexing and M&M by Hizzyben on d mix.